Prime Minister Nawaz Sharif has attended only 6 out of this year's 102 National Assembly sittings. Are low attendance figures really a problem? 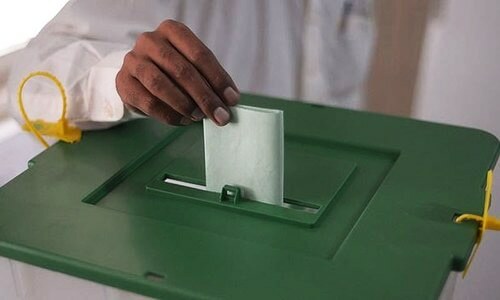 The Free and Fair Election Network (Fafen), in a recently published report, assessed the performance of the National Assembly (NA) during its fourth and final year. The report uses data compiled over a year of observation and archiving. It illuminates little-known patterns that characterise our legislature. There are 340 NA seats in total, of which 10 are minority seats, whereas 60 are reserved for women. Punjab is assigned the highest share of seats owing to its population, which is considerably larger than that of other provinces. Punjab's representation in the NA is more than twice of Sindh, which comes second in representation. The Fafen report registers nine out of 17 federal ministers to have attended less than half of the year's total 102 NA sittings. It observes that throughout the outgoing parliamentary year, 69 of 270 MNAs did not raise any questions or engage in debate inside the NA. When it comes to attendance, Prime Minister Nawaz Sharif has attended only 6 out of the 102 sittings in the past year. Imran Khan, one of his fieriest political rivals, has done even worse, attending only 2 out of 102 sessions. JI's Sahibzada Tariqullah, Syed Naveed Qamar of PPP, Aftab Ahmed Sherpao of Qaumi Watan Party-Sherpao, Mahmood Khan Achakzai of Pakhtunkhwa Milli Awami Party and the Awami National Party's Ghulam Ahmed Bilour have some of the highest attendance records in the past parliamentary year, with all having attended more than 70 of the year's 102 sittings. "It's unfortunate," says Zarrar Khuhro, a political commentator and analyst. "I don't think these people view parliamentary attendance as being central to their political appeal. 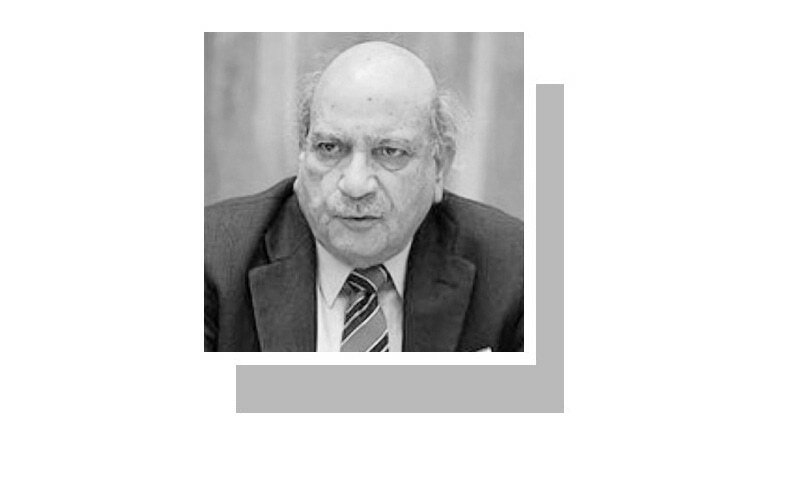 Which is unfortunate; especially in the case of Nawaz Sharif, because when he's in trouble, the Parliament bails him out — whether it be during the dharna, whether it be times when you want to give an impression of neutrality in conflicts such as the one in Yemen — but it's never really been his style of governance to turn primarily to Parliament," comments Khuhro. "He likes his kitchen cabinets and has a rather narrow circle of consultation and decision making," Khuhro added, referring to the prime minister. 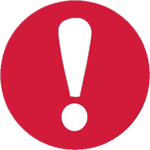 There is, however, a law that aims to address absenteeism in the Parliament. Clause 2 of Article 64 of the Constitution of Pakistan states that a minister may be unseated after missing 40 consecutive sessions. Khuhro thinks the law is "better than nothing". "Given that it is their job as the elected representatives of their constituencies to actually show up in Parliament and raise the issues of their constituency, I feel there should absolutely be a penalty if your attendance drops below a certain point," he opined, adding that perhaps parliamentarians should be treated in the same way as daily wage labourers, in that: "if you work on a particular day, you get paid for that day. If you don't, you get penalised." In August 2015, petitioners took to the Supreme Court to invoke Article 64, in an attempt to deseat Pakistan Tehreek-i-insaaf (PTI) lawmakers, who they alleged had been absent from the Parliament for 40 consecutive sittings. However, the petition, following a political settlement over the issue, was subsequently withdrawn. For decades, ministers' attendance records were not made available to the public — something that did not sit well with the Pakistan Institute of Legislative Development and Transparency (Pildat). In July 2015, after at least two years of back and forth between Pildat and the Assembly secretariat, the attendance records of parliamentarians were finally placed in the public domain. But has the fear of public oversight made a difference to the parliamentarian's degree of commitment? A closer look reveals that in its fourth parliamentary year, almost half of Pakistan's federal ministers' attendance ranks below the 50pc mark. Non-participating MNAs come at a high cost. MNAs can participate in the NA by submitting agenda items and/or taking part in the discussions or deliberations on the floor of the house. A total of 69 parliamentarians remained inactive during the fourth parliamentary year, the Fafen report states. That is problematic for a number of reasons. In 2016, the cabinet approved a 146 per cent rise in salaries of parliamentarians, bringing the average MNA's income up to Rs150,000 a month. The yearly salary figure, then, for one MNA can be estimated to come to about Rs1.8 million. It can therefore be estimated that a total of roughly Rs124m was awarded in salaries to the 69 inactive parliamentarians during the fourth year of the current NA. Being an effective lawmaker requires a somewhat different skill set as compared to that expected of a successful politician, explains Maliha Zia Lari, a Karachi-based lawyer with extensive experience in legislative drafting. Having worked with a number of politicians, Lari feels that newcomers to Parliament are often inexperienced and unaware of the rules, procedures and nature of proceedings inside the assembly halls. "There is very little that is known about what parliamentarians do or are expected to do. Some of the new parliamentarians literally do not know what question hour is, how to frame a question, or how to frame a resolution. So even for them, it's a learning curve," she explained, shedding light on how certain parliamentarians could be termed "inactive". Could it be said for the 69 non-participating legislators in the fourth parliamentary year, that they are still learning? Lari feels there is a "disconnect between the needs and commitments of populist politics and the nature of work a parliamentarian ought to do in the assembly." "It is the role of the media and civil society to make sure politicians are appreciated for their work inside the Parliament," she concluded. Fafen observed that in the fourth parliamentary year, only 270 members have been recorded as "active" members, which means around 20 per cent of the NA has been inactive. 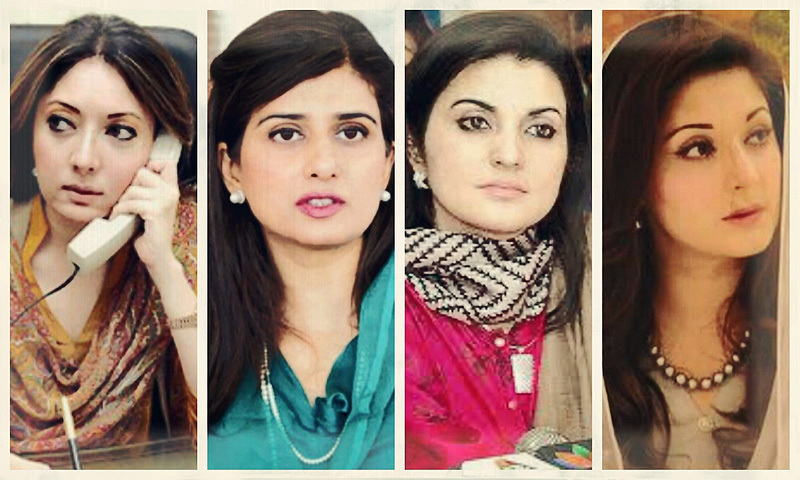 Out of these 270 active members of the NA, 61 are women. Although women comprise only 22pc of the legislature, their performance has been graded as impressive by a Fafen report covering women legislators' performance between June 2014-February 2015. According to Fafen's performance analysis, "women lawmakers in the National Assembly have been more active and assertive in their lawmaking and oversight role compared to their male counterparts." A survey of historical data on gender representation shows Pakistan has come a long way when it comes to women's representation in the legislature. "Women members introduced 17 private bills either individually or jointly with other members during the reporting period (2014-15). In contrast, their male counterparts introduced 13 bills jointly or individually during the same period," stated an earlier Fafen report which assessed women's performance in the NA. The older report identified Naeema Kishwar Khan of the Jamiat Ulema-i-Islam-Fazl (JUI-F) as the most active legislator during the 2014-15 parliamentary year, sponsoring five bills jointly and one individually. 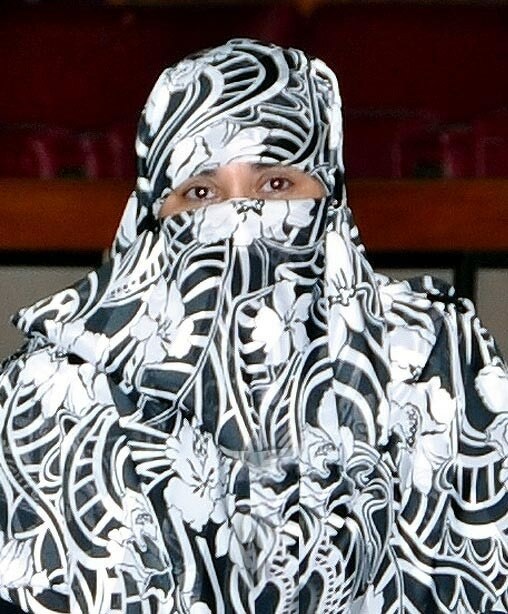 She was followed by Shahida Akhtar Ali (JUI-F), Dr Nikhat Shakeel Khan (MQM), Aisha (JI), Nafisa Shah (PPPP) and Kishwer Zehra (MQM), who sponsored three bills each – mostly in collaboration with other male and female lawmakers. Women's presence in Parliament has often invited opinions from different sections of the political realm. While some complain about the authenticity of the mandate that comes with a 'reserved seat' procedure, others credit "gender conscious" legislation to women's presence in the assembly halls. In late 2016, the World Economic Forum reported that Pakistan was only one place above war-torn Yemen, with regards to gender equality. Afiya Zia of the Women's Action Forum gives credit to former president Pervez Musharraf for reserving 60 seats in the NA for women. But how does mere representation influence legislation? "It's not just the presence of women in the Parliament, it's also the fact that they carry a certain gender consciousness," she said, speaking to Dawn.com on the kind of influence women harness through their presence in the Assembly. "In the Sindh, KP and Balochistan assemblies, women are particularly active and they offer and face so much resistance," she said. While speaking about all the dynamic ways in which women influence the politics that transpires within assembly halls, Zia feels "it's the process that various assemblies go through in order to get to come up with newer laws. Having women present their in some capacity with that consciousness is important." "The critique that we give from our side is that while women legislators may be gender conscious, they lack a certain class consciousness — and that holds for men as much as it does for women." For Afiya Zia, gender consciousness in Parliament is invaluable, but it falls short of what she believes would be ideal ─ a feminist consciousness. "In Sindh, the Child Marriage Restraint Act 2016 was definitely an act of defiance against the religious elements who were resisting [the legislation]. It was sort of a challenge to the Council of Islamic Ideology — so that was, if you like, on the verge of being 'feminist legislation'," said Zia. On the place of national assembly make a cancer or lever transplant hospital,that will be much useful. @SATT very well suggested. seriously. a university will be great as well. Its not at all functional , its dictated, so no use having such a luxurious building. Dictate you can, from anywhere, only a mouthpiece or a cell phone in present times is needy. A long time ago, during Ayub Khan's era I got a chance to attend a national assembly session as a visitor. Some legislation proposed by the government side was being hotly debated by the opposition. One after the other several members of opposition rose and spoke against the resolution. Not a single member from the government side rose to counter any of the opposition's argument. In my naivete I was sure the resolution would fail and was wondering why the government side even bothered to propose it when they were not willing to defend it. Then came the voting, the speaker asked for all those who oppose say nay, and the opposition bench voted no. Then he asked for 'yes' and the government bench voted yes -- the resolution passed. The bottom line is that if you have enough votes you don't need to win any argument. There are 342 members of National assembly not 340. Secondly, Of these, 272 are filled by direct elections. In addition, the Pakistani Constitution reserves 10 seats for religious minorities and 60 seats for women, to be filled by proportional representation among parties with more than 5% of the vote.